Fans of self-driving cars will have breathed a sigh of relief at the news that Uber and Google’s Waymo, two giants in the industry, have settled their intellectual-property lawsuit. This removes a huge distraction for companies, freeing them up to focus on their own research. So that’s good. Driverless cars will be an incredible boon to society. They could save tens of thousands of American lives every year, and even more in countries such as India and China, and prevent millions of injuries. They could save the average American hundreds of hours each year — hours that she or he would then have to do work or rest while on the road. And they could eliminate the stress of driving, improving health and quality of life for billions. The positive, transformative potential of self-driving cars is hard to overstate. Thus it’s great to see the U.S. government thinking about how to regulate autonomous vehicles well in advance of the technology’s wide adoption. Bipartisan legislation has been introduced in both the House and Senate to harmonize rules at the federal level, while the National Highway Traffic Safety Administration is trying to remove unnecessary regulatory barriers. Meanwhile, Senators Bill Nelson, Gary Peters and John Thune have put forward a set of principles they plan to use when regulating self-driving cars. Most of the principles are sensible — promoting safety, cybersecurity and education, while propelling innovation forward as fast as possible. But one of the principles — the principle of government remaining neutral toward alternative autonomous vehicle technologies — deserves some closer examination. Unlike the normal, human-guided variety, self-driving cars work better as a network. When the vehicles talk to each other, they can avoid crashes much more effectively. But if Waymo cars don’t talk to General Motors cars, that will reduce safety for everyone on the road. That means companies have an incentive to wire their cars to talk to each other, right? Maybe not. Lack of interbrand communication would mean that each car buyer would have an incentive to purchase a vehicle from the most dominant or popular brand, because that car would have the largest number of other cars it could talk to (and avoid crashing into). In other words, there’s a real danger that car companies will try to be like Apple, limiting interconnectivity in order to try to turn the auto market into a closed, monopolized ecosystem. The potential profit from monopolizing the auto market — or even just the software component of that market — is vast. Suppose that people are willing to pay $10,000 for the software that controlled a self-driving car. There are about 17 million new cars sold in the U.S. each year. Just multiplying those two numbers would translate to revenue of $170 billion a year, or almost as much as Amazon.com’s sales last year. But if the company was a true monopoly — if you had to buy your self-driving software from one company or suffer a much higher risk of injury and death — it would act to maximize its profit. That is what monopolies do. It would raise prices, restrict output and make it harder for a middle-class person to own a car. A monopoly in self-driving technology would be bad for consumers, but recent research shows that it also would be bad for workers in the industry, since dominant employers are able to use their power to pay lower wages. For any number of reasons, government should act to prevent one company from dominating this industry. The traditional way to deal with a monopoly is to break it up, as AT&T was ordered to break up in 1982. But in the case of self-driving cars, doing so would leave the road less safe overall, since we’d be left with a bunch of smaller brands whose cars couldn’t talk to each other. A better idea is for the government to mandate that all autonomous cars be able to talk to each other. The easiest way to do that is to mandate that self-driving software companies make public all of the software and protocols that they use for communications between cars. That might not solve the whole problem, since those protocols and that code may work much better with one company’s system than another’s. 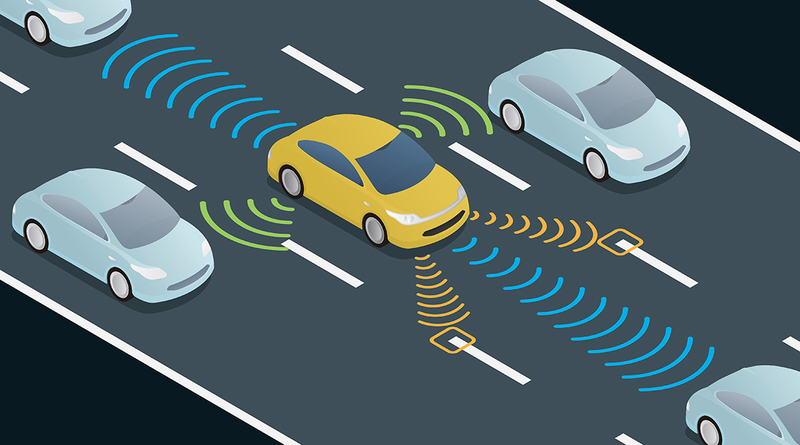 But if regulators enact this rule early on, it would allow companies to develop their systems around a universal, shared intervehicle communications system from the ground up. That would be true tech neutrality, with no one system having a market advantage. This sort of rule would prevent safety-based monopolization of the auto fleet. But in spirit, it’s really more similar to something the government has been doing for centuries — harmonizing weights and measures. That’s such an essential, useful government function that it’s actually written into the U.S. Constitution.